A man accused of fatally striking a woman with a car and driving off in Manassas, Virginia, last month is now facing charges for two additional crimes in Montgomery County, Maryland, police said Friday. 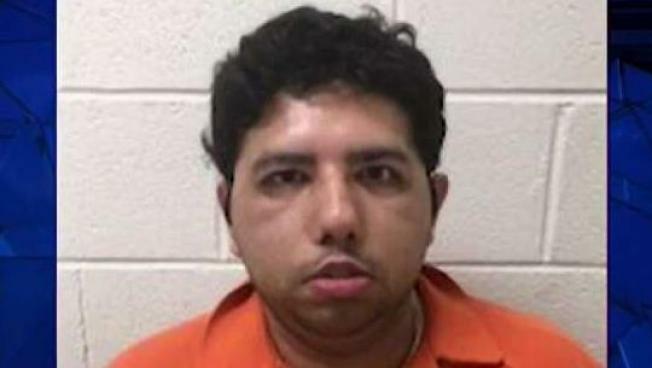 Prince William County previously said 29-year-old Muhammad Taha purposely struck 66-year-old Shamsa Begum, on Cloverhill Road in Manassas on March 24. Taha drove off and Prince William County police later arrested him at a 7-Eleven on Dumfries Road. Begum died at the hospital a day after the crash. Police said Friday that they connected Taha to two other crimes in Montgomery County. Investigators say a man intentionally ran a woman down and then kept on driving. News4's Pat Collins spoke to a man who says he saw the fatal hit-and-run. He is suspected of hitting a man with a car who was walking outside at the Islamic Center of Maryland Mosque in Gaithersburg on March 22. Taha then took off, according to police. The victim was taken to a local hospital with injuries that were serious but not life-threatening. Then, on March 24, police received reports of another incident at the Islamic Society of Germantown, where the driver of a vehicle that had been seen circling the area apparently used a brick to vandalize a parked car in the mosque's parking lot. That suspect was also seen striking another parked car before driving away. Police believe all the incidents to be isolated and related only to Taha, who is being held without bond. Taha was charged with attempted murder, first-degree assault and two counts of malicious destruction of property in addition to the felony hit-and-run and second-degree murder charges he faces in Prince William County.